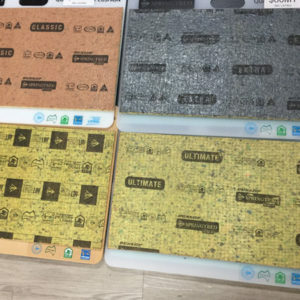 At HMC Floor Coverings we stock carpet underlay from superior stockists at our Geelong store, as we do with all of our carpets and flooring products. Our friendly staff are happy to show you our range and advise you on the carpet underlay that will suit your needs and budget. Carpet underlay is available in foam. 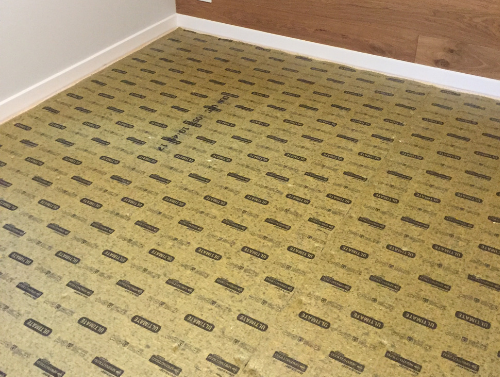 A better quality carpet underlay provides cushioning underfoot, improves insulation from sound, heat and cold, is more durable and will extend the life of your carpet. If you want your carpet to last for many years, you need a quality carpet underlay as well as quality carpet. 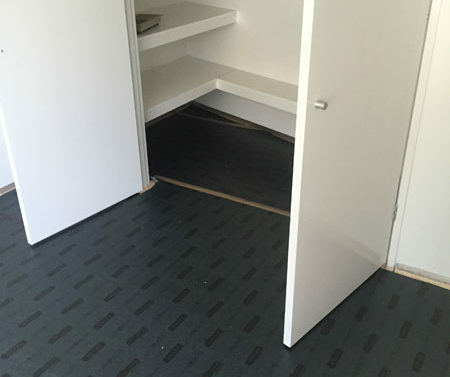 Dunlop Flooring – options include Dunlop Classic 8mm starting from $5.50m2, Dunlop Extra 9mm and Dunlop Ultimate 10mm. Classic is designed as a budget underlay ideal for rental properties or rooms that are not used as much. Come into our show room and have a walk on our walk tester boards to feel the difference for your self. 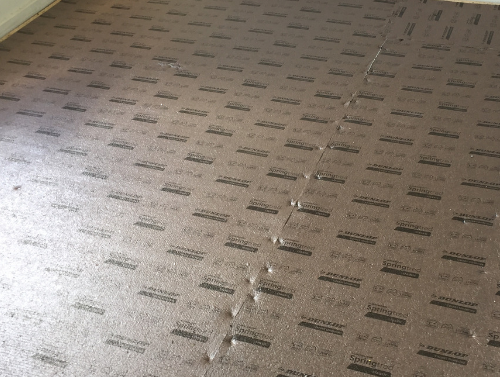 Whilst this is our entry level underlay once you feel it under your carpet sample you’ll know that this is not a cheap and nasty underlay that many competitors sell on the market. When it comes to covering all performance and comfort scenarios, Dunlop Springtred is the answer. Designed for comfort and durability, Springtred extra retains its good looks and performance longer than its rivals, and the added bonus of antimicrobial Ultra-Fresh makes it the ideal selection for asthma and allergy sufferers. Whatever your comfort and underlay performance requirements, Dunlop Springtred has it covered. 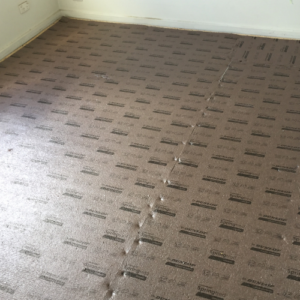 This is our premium underlay that is suitable for stair cases and those rooms that you spend the most time in such as rumpus rooms. Come in and have a walk on it for your self! Dunlop Excellay is the underlay answer for commercial installations. Dunlop Excellay is made from a rugged and durable polyurethane foam which keeps bouncing back, providing outstanding durability in high traffic areas year after year. Ideal for use in offices, hotels, restaurants, bars, lounges, churches, theatres and entertainment venues. 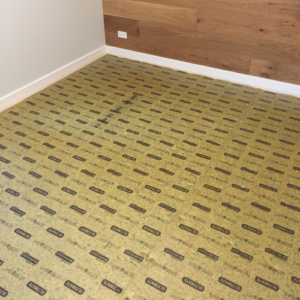 As the name suggests, Dunlop Timbermate is an underlay for timber flooring and designed to absorb and muffle sounds while also providing high-level moisture protection. 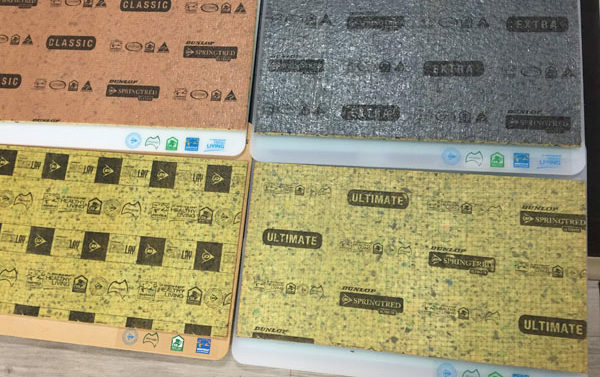 Subjected to CSIRO testing to ascertain its noise-reducing qualities, Dunlop Timbermate exceeded the Building Code of Australia standards. Use Dunlop Timbermate with most varieties of timber floating floors. 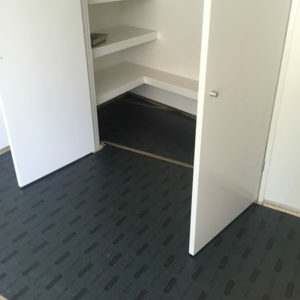 As well as carpet underlay we also supply vinyl flooring and quality carpets Geelong and district householders can rely on. Phone us for a free measure and quote on 03 5221 3348.